My Social Networks + Favorite Knife and Gear Stores! If you have any ideas or suggestions about my blog or knives in general - please write me in private on social networks or let me know in the comments below and I will contact you ASAP. 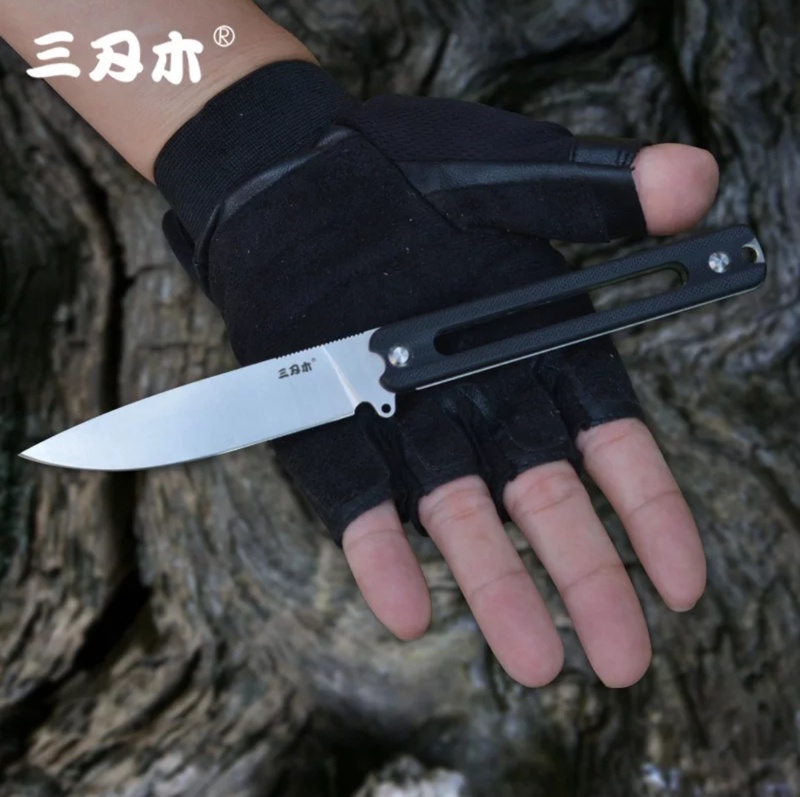 Knives and Gear to get during the AliExpress Anniversary Sale! Well, it's that time of the year again and AliExpress are having a 7th anniversary sale. I'd like to tell about and show you some of my knife and gear picks for this year (that are on sale during this period). First of all there is a great sale on the Vespa Ripper. One of the first original premium OTF designs out of China and I'm really excited to get one of these. 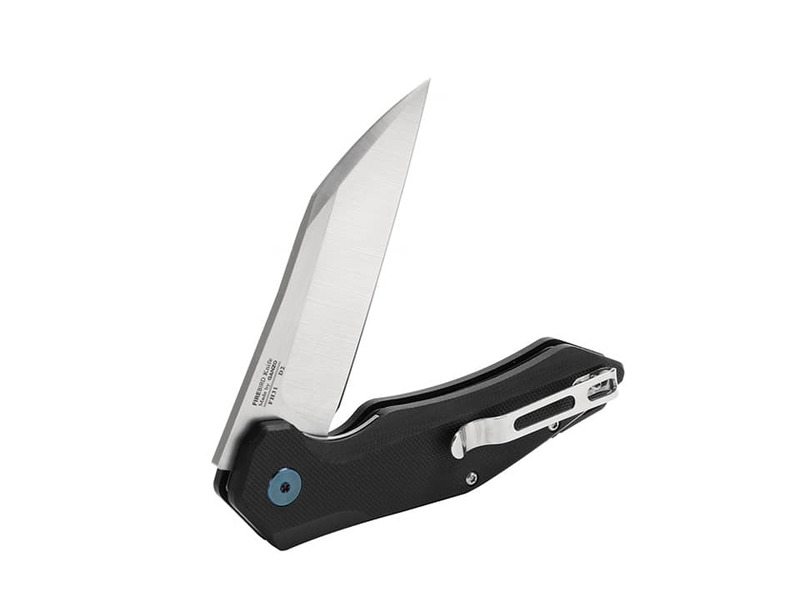 It features aluminum body, M390 blade, carbon fiber and tritium inserts and a ti pocket clip. I'll be picking one of these as well to try out and review. Also available at DHGate's Vespa Store. Next up we have the Covenant Balisong. This is a premium bali (butterfly knife) made from titanium with CF inserts, bearings, S35VN steel and a ti pocket clip. One of the best Chinese balisongs out there, at least design and quality wise. 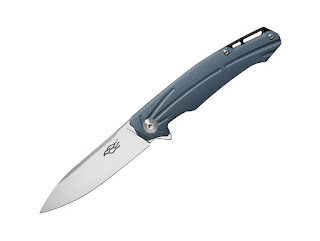 Competitive option: Bradley Kimura (crazy sale now at BladeHQ ($109)). As for budget blades - we've got a comeback from Enlan Blades. These knives were really popular a few years ago and now are again available for sale. Don't expect really high quality or fit&finish like we got used to by Sanrenmu and Ganzo latest models, but some of the models are definitely interesting and unique so it's a good opportunity for a vintage pickup. They even sell the key for that annoying Enlan tri wing pivot screw now. Also available here (faster US Shipping): Enlan Knives on Amazon. Other than that I could recommend picking up Ganzo Firebird FH21 and Ganzo FH31 models as they are now proven to be great value knives with high quality levels and made from real D2 steel. As for other noticeable gear I intend to pick up the Xiaomi AirDots true wireless earbuds and the SJCam SJ8 Pro action camera as well as other smaller items for household and gifts to family members. They have great selection of (mostly newer) knife models from one of the leading budget knife manufacturers in China. The same factory also produces knives for several American brands (Spyderco, Kershaw), and also RUIKE, Real Steel, Boker+ and many others, so the quality levels of their products are amazing for the price. They also have many products for sale in this sale, ship the products fast and have excellent customer service. Other Sanrenmu models are also available at Gearbest. 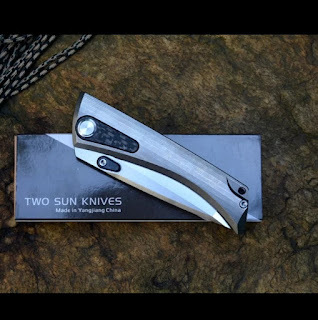 Another store that I recommend to check out on AliExpress is the Tangram Knives Brand. The budget subsidiary of Kizer Knives have followed their parent company and now also present their knives on the Chinese platform with lower prices and worldwide free shipping on most of their products. They primarily make knives out of 440 Acuto steel from Japan, polimer handles (also aluminum) and the same awesome quality we already got accustomed to from Kizer's Vanguard series. 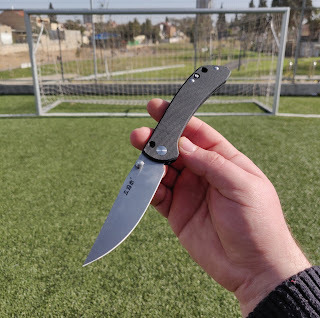 BTW - don't forget about the parent - Kizer AliExpress Store, awesome prices and excellent service as well, plus some new models as well. I'd also like to put a spotlight on one model that is sold at AliExpress - the relatively new and loved Ganzo FH11. Now they have released an updated version with a reversible clip, so you could carry it on the left side as well, so managed to make it even better. Definitely check it out, great low prices on it during this sale. And of course the Kevin John Venom models are also sold with significant discounts during this period. 2 new models are now available - the Harpoon (with unique pivot tightening solution) and the Bone Doctor. 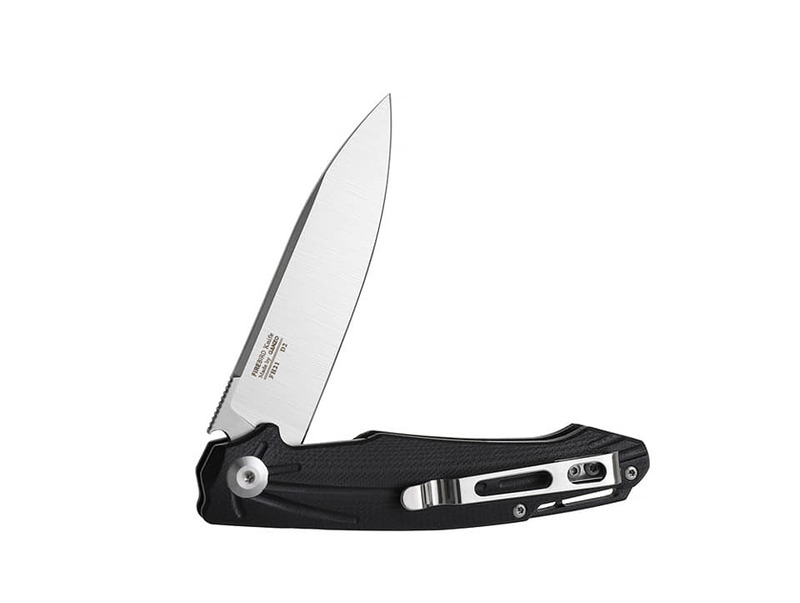 The Kershaw TX Tool arrives in a branded cardboard box and includes an aluminum body with a magnetic head and 5 bits - 3 torxes (#6 #8 and #10), a flat head and a Phillips (cross) head. - Easy to carry: the bits are conveniently stored inside the body of the screwdriver, it's relatively light and small plus has a decent pocket clip that could be removed if needed. - Easy to use: feels good (safe) in the hand and has good grip (due to the knurling and the deep grooves). - The bits are of good quality and steel(relatively to the price of the tool) and don't strip easily. A big plus is that the tool fits standard 4mm bits so could be replaced quite easily if needed. 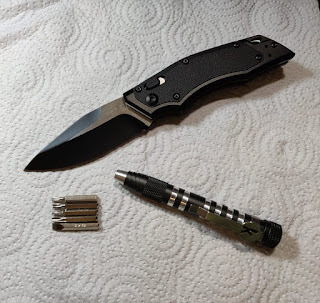 - The magnetic head works really well and the magnet is pretty strong that it can hold small and medium sized knife screws (which is really important when performing knife maintenance). - Can hold up to 8 bits total (7 inside the body and one in the head). - Budget price for a branded tool. - Not that it is important but it looks pretty well for a budget tool as well. - I was missing the #7 and #9 bits that are frequently used in all sorts of knives (not Kershaw knives though). So I got an inexpensive torx set made by Flexsteel (also decent quality) and added these to the kit. - The disadvantage of storing the bits inside the handle is that you kinda have to spill all of them into the hand or on the table, pick the one you need and return the others inside. That wastes a few seconds of your time and increases the chance of lost pieces. - This tool has great value and is well made but it's biggest advantage IMO are the mobility and that it doesn't take lots of space. Will serve well as a usable tool at knife meetups, while travelling, as an additional tool for those double sided pivots or for folks who disassemble small screws at work (like electronics technicians). Sanrenmu 9165 - Budget Slipjoint EDC Hall-of-Famer! Hey guys, sorry for the long absence (had to deal with some life issues) but now I'm back, hopefully to full speed. Today I will review a very interesting budget knife from the updated Sanrenmu brand - the 9165, which is a modern EDC full-size slipjoint. It arrived ~month after the order date in a Sanrenmu branded cardboard box with paperwork and an extra safety pin. - First of all the quality - fit and finish are on a very high level, like most of the newer Sanrenmu models. Plus it arrived shaving sharp. - Materials: 12C27 blade (which I consider to be one of the best steel choices for budget EDC knives (Sup Kershaw and CRKT) as it keeps a decent edge and won't rust on you. The G10 pattern reminds one that you find on Spyderco knives (coincidence? :) ) - provides good grip but won't tear your pants or hands. - Thin grind that is rarely found on knives in this price range (0.5 mm bevel and 0.6 on the very tip of the blade). - Has a one-handed opening (dual-sided thumb studs) and one-handed closing feature (half stop - please watch the video down below for the demo). - Safety pin - although this is a slipjoint, Sanrenmu have added a safety feature that allows effective lock of the blade to prevent it from closing on the fingers of the user (virtually turning it into a fixed blade). The pin is stored inside the handle (at first glance it looks like another standoff) and is secured in place with a small wire spring that goes into a groove on the pin. If moved to the hole in the front of the handle it locks the back spring and locks the blade. Please watch the video below for the demo. 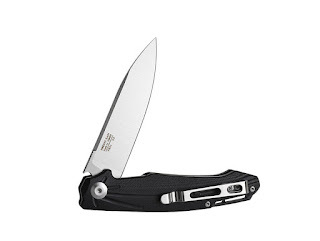 - The 9165 is thin, light (2.85 oz/80.8 g for 3.5"/92mm blade length) and has a well functioning deep carry pocket clip that makes it easy to carry and get in and out of the pocket. - Ergonomics are decent in my medium-sized hand, full 4 finger grip. - The back spring is relatively stiff and that (together with the half stop) makes it hard to flick out the blade without some serious wrist action. Regular slow opening works just fine. - The clip isn't reversible for left side carry (despite the dual thumb studs). - Lacks gimping and a finger choil IMO (especially for a non-locking blade). I really like this knife for quality, materials, features and above all the amazing value it provides. It is one of the best options for budget EDC IMO and I plan to carry it a lot. Thanks for reading, hope to see you soon on another review. Links to the knives: Kizer Critical: https://goo.gl/eWs5iz Kizer Dorado: https://amzn.to/2T8raVD Kizer Dukes: https://goo.gl/1xBBxe Tangram Vector: https://amzn.to/2CICUXX Also please check out Kizer knives with free worldwide shipping: Kizer Official Store: https://goo.gl/hzuH9S Tangram Official store: https://goo.gl/CDGvJQ Kizer Knives website: http://www.kizerknives.com/ Email for warranty issues: Service@kizercutlery.com / Kizer.cutlery@gmail.com In this video I would like to tell you about my experience with Kizer Knives, fail and their warranty service. If you liked the video please slash that like button and comment your opinion about Kizer knives and their warranty service. Plus I would like to know your feedback on the new lightning and camera setup. Thanks for watching and I'll see you on the next ones! Top 5 picks out of the ones I have (based on quality and the amount of use they got lately). What were your favorite knives for this year? Links: 5) Sanrenmu S731: https://goo.gl/4b45z4 4) Marttiini Skinner: https://goo.gl/zXCFus 3) SOG Pentagon: https://amzn.to/2LFkf3j 2) Sanrenmu 7130: https://goo.gl/5bMwrb 1) EnZo 125 Camper: https://amzn.to/2IrX3nz Hultafors Classic Trekking Axe (Honorable mention): https://goo.gl/ZoZRVE (The links are for cheapest deals I could find for these knives ATM. If you found one for less please write it in the comments/DM me and I will update the list accordingly). In this video I'll show and tell about my favorite fixed blades for 2018 and the ones that I used the most. What are your top fixed blades for this year? I would love to know so please write them down in the comments. If you liked this video please give it a thumbs up and subscribe. Thanks for watching and I'll see you on the next ones. Cheers! In this video I'd like to show you my most carried EDC (Every Day Carry) items of 2018 and tell a bit about my EDC philosophy. If you liked this video please give it a thumbs up, subscribe (if you haven't already) and tell me in the comments: Which were your most carried items for 2018? Thanks for watching and I'll see you on the next ones. Cheers! New models from Ganzo Firebird: Ganzo FH21 and FH31! Just a short update about the newest models that have been announced by the Chinese company. First of all they'll be making a silver (non blackwash version of the FH13 I wrote about a while back). The new version will be called the FH12 and have all the same parameters of the black one. Reminds me a lot of the relatively new knife called the Fat Dragon Dead Silence. Wonder if they got the permission to use the design or just "Ganzoed" it like they know. How do you like the new models? BTW - I will update when they will become available for purchase so please follow me on the social channels (could be found in the first post on the blog). Hope it has been interesting. Ganzo Firebird FH13 - New Steel Version of the FH11 + Design Origin (Premium Version) Found! This time a quick update about a new model from one of the most popular budget brands out there - Ganzo Firebird. They've seen the popularity of the excellent FH11 model and decided to make a full stainless steel version of that knife with a few construction/finish changed as well. First and foremost the biggest change is of course the lock - the linerlock was replaced by a steel framelock (which is safer, as it is supported by the grip of the user). Another change is the blackwashed (black coated and then stonewashed) blade, hardware and pocket clip, making the appearance more "stealth" and discreet. So, it's not just a "face lift" of the same knife, but a different model altogether and one that is quite different in terms of style and materials (except the proven real D2 steel and the same bearings). And as a bonus: when the FH11 first came out it looked really familiar to me, like I have seen the exact same knife before. This M390, titanium body and milled clip model appeared quite a while ago and is obviously the origin for the FH series from Ganzo. The question of if it was a licensed design or a copy will probably remain unanswered, but if you want a premium version of the FH11/13 - it is also available. 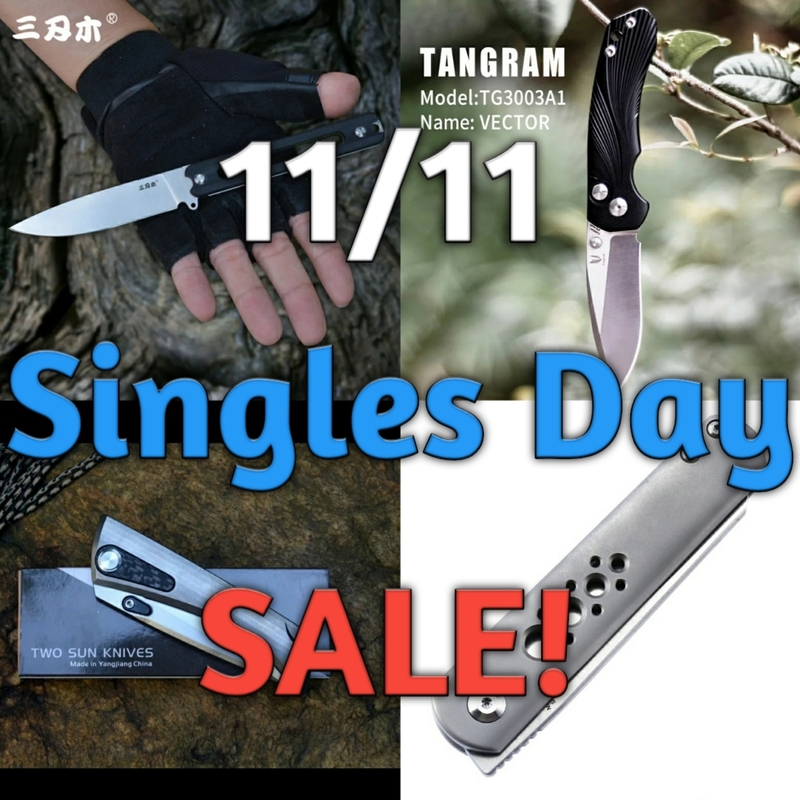 Knives to get during the 11/11 AliExpress Singles Day Shopping Sale! *Please notice that the AliExpress sale is now over and the prices for many of the recommended products have increased dramatically (up to 2X). GearBest and DHGate sales are still on. The 11/11 AliExpress Shopping Sale have finally arrived and I'd like to show some of my picks to get during this awesome sale! First of all - do you know why the Chinese call this the Singles Day Sale? Well it is actually pretty simple - due to historical reasons there are a lot of single male folks in China and they needed a holiday to celebrate their pride in being single and the date (11/11) was chosen due to it being consisted of only singles ("1"s). Please notice - many knives in this sale appear as if they don't have a lock in the seller's description, but in reality the pictures are edited because of the AliExpress regulations (selling locking knives is prohibited on the platform but if the lock is edited out it's apparently OK). First of all - check out the Official Sanrenmu Store on AliExpress. 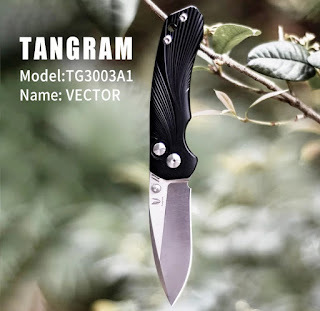 Another store that I recommend to check out on AliExpress is the Tangram Knives Brand..
BTW - don't forget about the parent - Kizer AliExpress Store., awesome prices and excellent service as well, plus some new models as well. 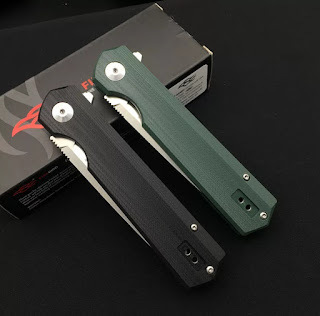 Moreover - check out the Venom II and other original design models from Kevin John.These are known for their exceptional fit and finish (highest level of CNC, materials and knife manufacturing in total). It really is a thing you need to try to understand. Other than that - GearBest also have a huge sale on this date, so might be worth it to check the knives they have on sale as well, especially the known and loved Ganzo, Sanrenmu and HX Outdoors models.